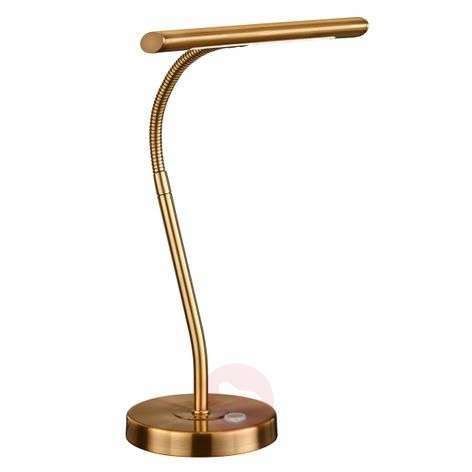 Due to its shape, the Curtis LED table lamp can be optimally placed on a desk where it provides additional light. It can be very effective when reading documents placed under it. For a precise adjustment of the energy saving LED light the top part of the frame can be adjusted flexibly. The touch switch can be operated in 4 stages and is placed at a convenient location on the base of the light.